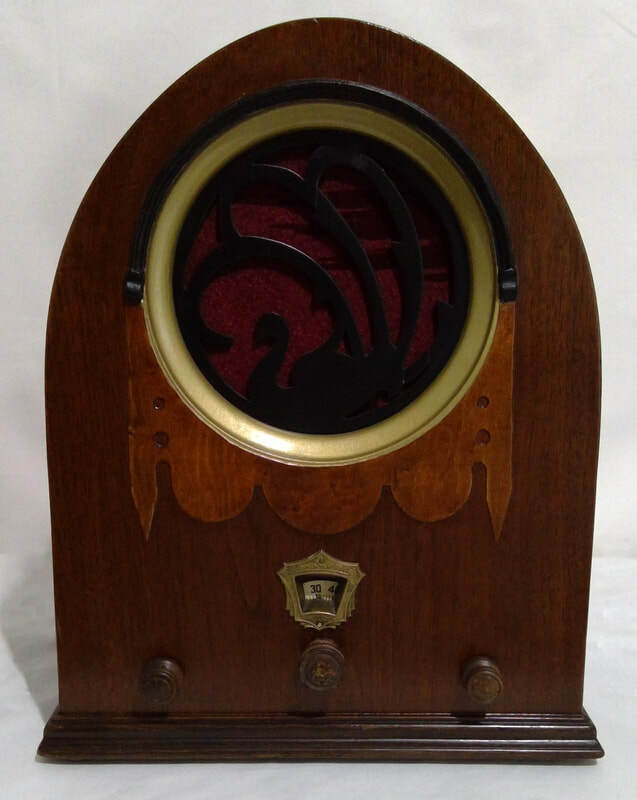 1930, model 62 "Swan", radio engineered by Jackson Bell Co, Los Angeles, USA and manufactured by Gilfillan Bros. Inc., USA. 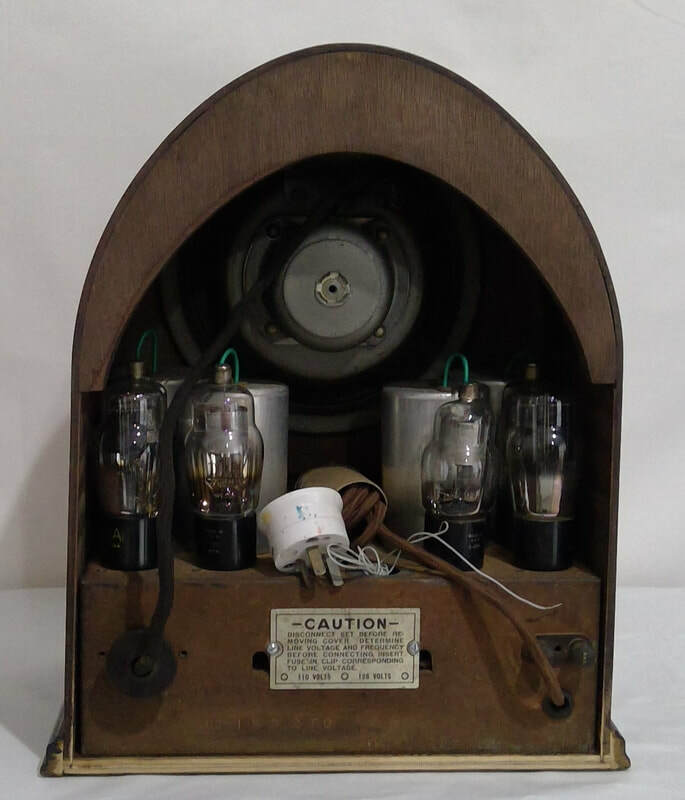 It has a tuned radio frequency and AC main (230 volts) with a 6 stage valve line up. The style is a cathedral mantle, wooden case construction. Dimensions (HWD) 390mm x 320mm x 210mm. 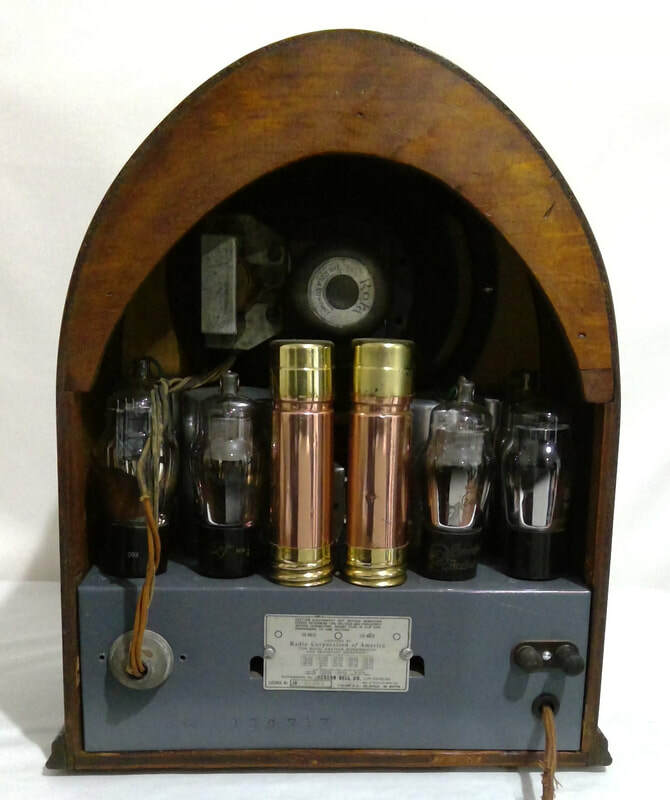 ​1931, model 62 “Lyratone”, radio manufactured by Jackson Bell Co, Los Angeles, USA. 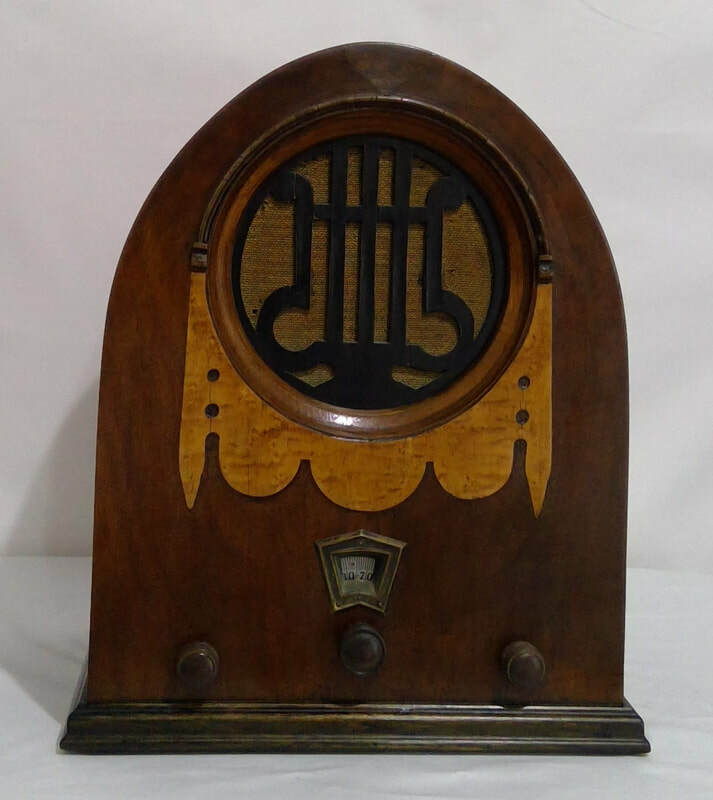 It has a tuned radio frequency and AC main (230 volts) with a 6 stage valve line up. The style is a cathedral mantle, wooden case construction. Dimensions (HWD) 390mm x 320mm x 220mm.